MOSCOW, January 1. /TASS/. The Russians have named the retirement age rise and FIFA World Cup as the key events of 2018, the Russian Public Opinion Research Center said in a survey. “Amendments to pension legislation (24%) tops the ranking of nationwide events,” the poll said. Along with this, 13% of the polled said that the FIFA World Cup was last year’s main event, while the opening of the Crimean bridge was ranked third in the survey. According to Russian citizens, the Kerch Strait incident, when three Ukrainian naval ships violated the rules of navigation through Russia’s territorial waters from the Black Sea to the Sea of Azov, turned up as the main ‘scandal’ of the year (10%), followed by developments in Ukraine (8%) and the Skripal poisoning saga. The respondents believe that the FIFA World Cup (12%), Syria (9%) and the opening of the Crimean bridge (6%) were the most significant events for the world. The nation’s leading polling agency conducted the survey in December 2018 based on daily phone interviews with 1,600 respondents aged above 18 years. The margin of error does not exceed 2.5% at the 95% confidence level. 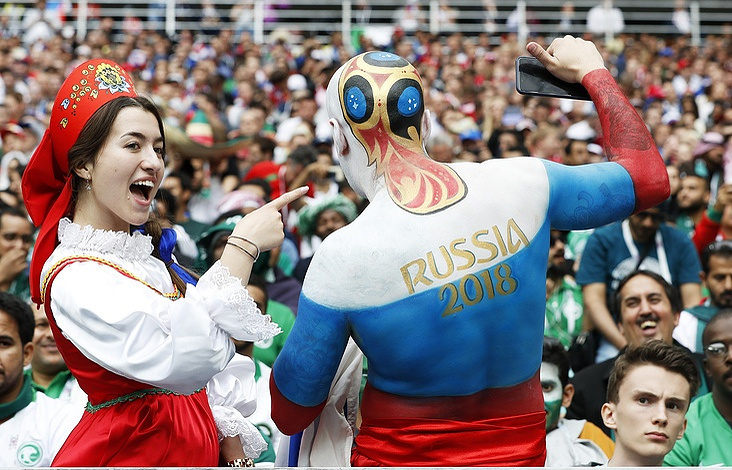 Hey Buddy!, I found this information for you: "Retirement age rise, FIFA World Cup main events for Russians in 2018 — pollster". Here is the website link: https://russophile.org/retirement-age-rise-fifa-world-cup-main-events-for-russians-in-2018-pollster/. Thank you.